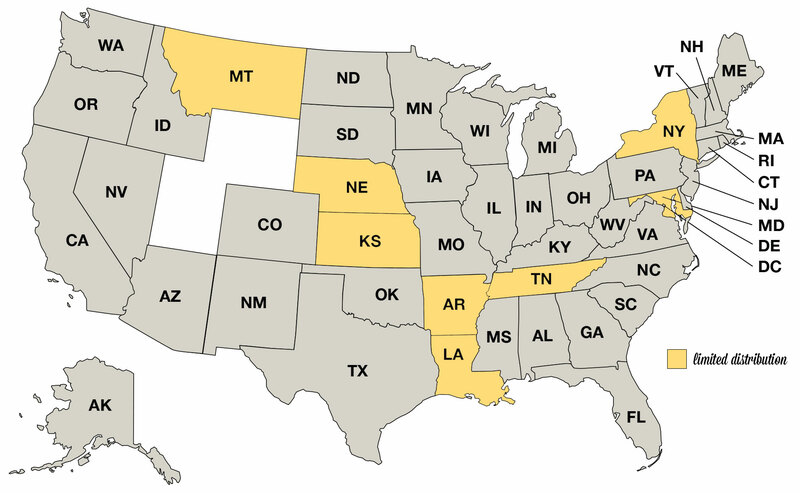 Distributor Information - Founders Brewing Co.
* Where the states are colored yellow, Founders does not have distribution in the entire state. If you come up with no retailers in your search area, extend your mile range to find retailers in nearby towns. Arkansas: Limited to greater Little Rock, Hot Springs and Arkadelphia areas as well as greater Fayetteville and Rogers in the state’s NW region. Kansas: The greater North East portion of the state serviced by Crown Distributors and Central States. Includes Salina, Manhattan, Topeka, Lawrence, Leavenworth and the greater Kansas City metropolitan area. Louisiana: The southern part of the state–including the metro Alexandria area and everything south and east. No distribution in the greater Shreveport area at this time. Maryland: Most of Maryland including the cities of Baltimore, Frederick, Hagerstown and Annapolis. Includes Howard, Carroll, and Anne Arundel and Montgomery counties as well the regions of Central, Capitol, Southern, and the Upper Eastern Shore. Montana: Most of the state, excluding the easternmost counties. Great Artisan Beverage Montana network of distributors: Summit Beverage, Cardinal Distributing, Fun Beverage, Gusto Beverage and Briggs Distributing, our beer will be available in all major markets throughout the state. Nebraska: All of Eastern and Mid Nebraska including greater Omaha, Lincoln, Norfolk, Columbus and Grand Island. New York: Most of the state except limited distribution in the northern region above the Adirondack Mountains the lower SW.
Tennessee: Most of the state, with the exception of the much of the western region; however, we do distribute in the greater Memphis area.